I live in an area where it snows so rarely…. that is why I moved here. 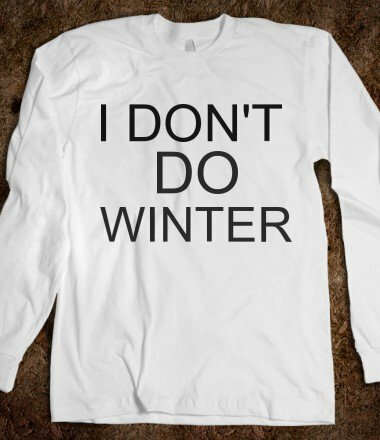 Someone buy me this damn shirt! Thank you Pinterest for bringing these finds into my life.